In celebration of my 47th birthday this week, here are 47 random things. 1. 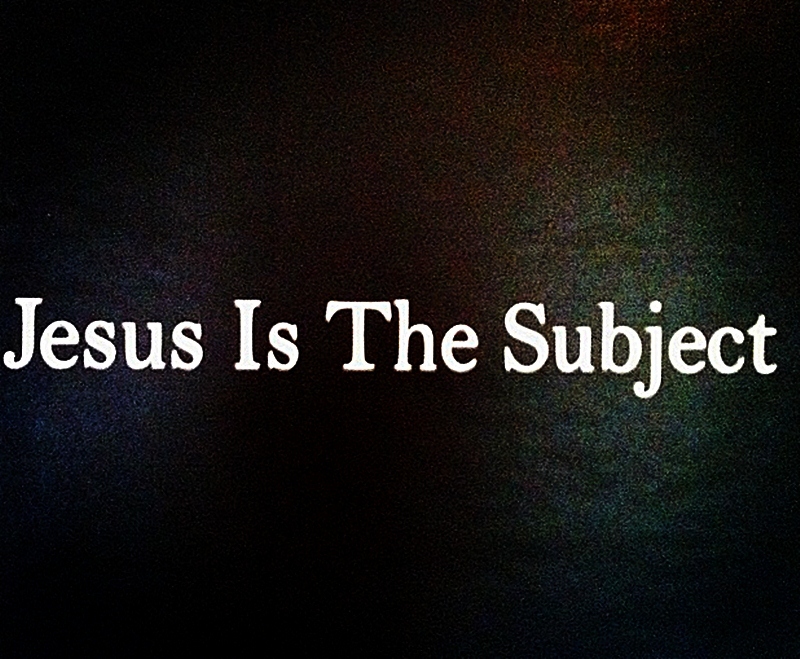 Jesus is the subject. I am a verb. 2. I married my best friend, Shelly, almost 26 years ago. I love her even more today! 3. Our 3 sons (Christian, Jericho, & Nile) keep me quite entertained. 4. Christian is very artistically creative and when motivated, creates really cool stuff. 5. Jericho is so much like me it's scary. 6. Nile is brilliant the way he takes things that don't belong together & combines them to make something new. 7. Having a child with autism is a constant adventure of discovery & learning. 10. Coffee: I'm more of a social drinker these days; but I loathe bad coffee. 11. It's still fun to get lost in the world of superheroes from time to time. 12. Batman since Day 1. 13. Music is at its best with synths & a dance beat. 14. Professional wrestling is fun entertainment, no matter what anyone says. 15. All-time fave wrestler is Sting (in every incarnation). 17. I enjoy working out in group fitness classes at the gym more than I ever thought I could. Guess I've become a "gym rat." 18. I'm going to miss being the pastor of Oaklawn church of God. Love these people! 19. I'm SUPER EXCITED to be planting a new church in Natchitoches, LA! 20. EPHESIANS 5:14: The light makes everything visible. That is why it is said, "Awake, O sleeper, rise up from the dead, and Christ will give you light." 21. I love fresh fruit! Fave is mango. 22. Writing & giving sermons is one of my favorite things to do. 23. Back to coffee ---> Cuban Coffee is the best! 24. There are no words to describe how connected I feel to the Ocean! I honestly feel like I love the Ocean more than anyone else. 25. I love the 80s (the 1980s decade)! The fashion, the way the world was changing, the movies, TV, and especially the music! 26. Something I'm really passionate about is experiencing the passions of others. 27. While I prefer to wear jeans (or shorts) and a t-shirt, I really like it when ladies wear dresses, hose, and heels. Confessing my double-standard I guess. 28. Fave sport to watch is football. Although I enjoy many others. 29. New Orleans Saints! WHO DAT! 30. Fave sport to play is volleyball. 31. I love summer! Warm & hot weather for me, please! 32. I've developed somewhat of an addiction to compression fitness apparel, Seriously, I might just have a problem. 33. Any time I can throw in a line from "Ice Ice Baby," I'll do it! 34. "If there is a problem, yo, I'll solve it." 35. I claim green as my fave color, but secretly it's pink because pink goes so well with black. 36. Black is my fave color (to wear). 37. Great memory: swimming in the Amazon River while on a mission in Brazil. 38. I've lived in TX, LA, AR, KY, OH, OK, & FL. 40. The best way to understand my teen years is to listen to the albums "Music for the Masses" by Depeche Mode & "Kick" by INXS, while watching the movie Purple Rain... in the company of the Sold Gold dancers. 41. "Cookin' MCs like a pound of bacon." 42. I can recite most of the dialogue while watching nearly every episode of the Andy Griffith Show. 43. Fave musical artist is the band, The Echoing Green. 44. "Velvet Elvis" by Rob Bell. Movement (chapter) 4. At least twice a year. 45. Working in the yard makes me feel fully alive. 46. My hairstyle is a progression from the 80s style of Depeche Mode, A Flock of Seagulls, and Billy Idol. It has nothing to do with Rascal Flatts.